Home » Commercial Flagpoles » Is your flagpole under attack? Is your flagpole under attack? You may not realize, but your flagpole is under constant attack. Air is working to oxidize and break down the aluminum, acid/elements from rain and sprinkler systems stains the pole, but the biggest threat is human. Too often, we find flagpole bases bashed, battered, beaten, and bruised from lawnmowers, cars, carts, etc. You find flagpoles everywhere and assembled in all sorts of ways. 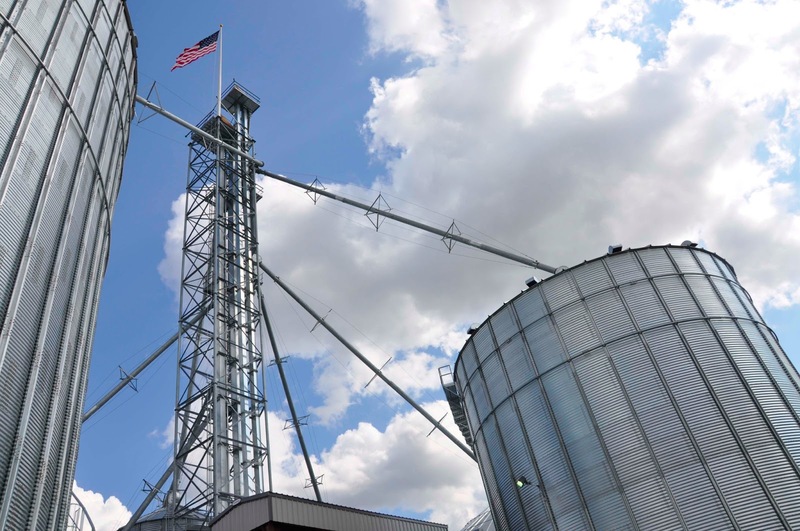 Flagpoles can be installed in ground, on a wall, on a roof, or even on the top of a grain elevator! But most often, you'll find a flag in ground, out front, on the lawn. Lawn companies who care for your landscaping do a great job on the yard. They work fast. In working fast, sometimes (as we have found), they'll hit trees, poles, and yes... flagpoles. Your flagpole might be free from auto and foot traffic, but it is completely exposed to the lawn mowers, sprinkler systems, and sprayers. So how do you protect your flagpole? A little landscaping can create a natural borer between lawnmowers and flash collars. Even if the flagpole is already installed, a little creative garden bed can do a lot to protect your flagpole. Beware sprinklers! Iron-rich water WILL stain your flagpole! If you are installing a flagpole, using a form to make a pedestal. A round or square pedestal can finish the flagpole nicely at the base as well as assist with water runoff. If the lawnmower runs in the flagpole, it's be met with concrete, which wont bode well for the mower. If you want to take your pedestal to the next level, you can lay bricks, stones, or any other type of media to make for a unique professional look. If your flagpole is already installed, you can use boulders nicely placed in front of the flagpole. We find this many times at stone work and landscaping companies.